BRACEBRIDGE – The region’s Catholic school board is discovering the history of its schools this year. The Simcoe Muskoka Catholic School Board officially launched its 2017-18 spiritual theme, along with the recent publication of the board’s history, at the first meeting of the school year held at St. Dominic Catholic Secondary School in Bracebridge on Sept. 20. The meeting was the first in board history to be held at the Bracebridge secondary school. Director of education, Brian Beal, revealed that this school year’s theme is “Our Story – Our Journey. “This year will be spent working with our school communities to rediscover our story and see how we fit into that journey,” said Beal. Beal said that theme was deliberately chosen as to coincide with the publication of A History of the Simcoe Muskoka Catholic District School Board, written by Robert Dixon. Beal said the book is the result of two and a half years worth of research. Each trustee received an advanced copy at the Sept. 20 meeting. 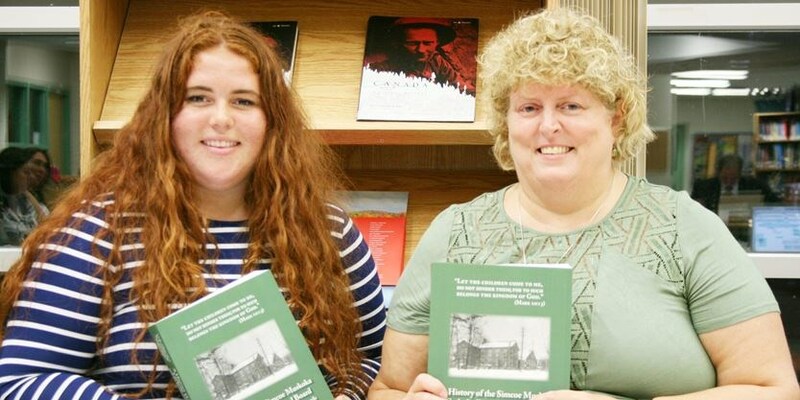 The book will be officially launched Oct. 25 at 6 p.m. at Holy Spirit Parish in Barrie. Beal said the study of the board’s history discovered that two of its schools, St. James and St. Mary’s, both in Barrie, have been operating since pre-Confederation, offering Catholic education since the 1840s.